As we enter a new era of health care, one fact looms large. More than three-fourths of U.S. medical costs are attributed to largely-preventable illnesses related to our lifestyle behaviors – what we eat, whether we exercise, how we manage stress, if we smoke. Yet in most health care today, visits to the doctor are often too brief to get a handle on these complicated challenges. The focus is usually on disease treatment (with a heavy reliance on drugs, high-tech procedures and tests) rather than disease prevention. 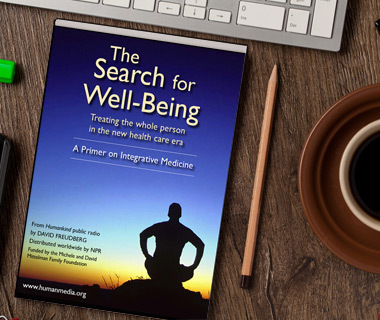 To get to the root of this all, our special public radio project, The Search for Well-Being examines a fascinating new model of health care: integrative medicine. When you visit the doctor, does it sometimes feel rushed? About 3 in 5 patients say they are unhappy with the hurried pace and don’t have enough time to discuss broad health concerns. Often they come away with prescriptions to treat symptoms, rather than a solution to underlying causes. And this can be hard on over-scheduled physicians and nurses. It can take a toll on the ability of patients to form a healing rapport with their practitioner. Due to time pressure, providers often focus more on taking measurements and reading records. The quickest fix is usually pills, which can be powerful. But drugs often have side effects – and they may be expensive. In certain cases, natural approaches are as effective or more so, and often cheaper. Instead of taking drugs, the solution may be altering your diet or trying safe herbal medicines or learning relaxation techniques or acupuncture treatment or making sure to get in more walking. A rising tide of patients is clamoring for these low-tech, gentle approaches. Yet most medical education does not emphasize them—although that’s starting to change, as we’ll hear. In this sound-rich series, we present leading medical experts, physicians and nurses following an integrative model of care. In Parts 1 and 2, listen to powerful stories of patients whose health care providers take a more natural approach. 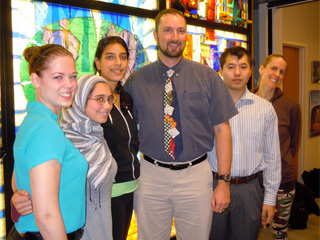 Then in Part 3 hear from medical students who share these concerns and aim to practice a different kind of health care in the future. And in Part 4, you’ll learn about techniques like acupuncture and meditation for health. Our series starts at the busiest hospital trauma center in the U.S., part of the University of Maryland Medical Center in Baltimore. In this high-stakes setting, patients are offered conventional medical treatment, but also integrative care. This includes relaxation techniques, which can greatly relieve stress for people in a severe medical crisis, as well as their loved ones. We hear the surprising story of Rick Shanas, a long-time Chicago police officer (now retired), who was admitted due to serious complications from cancer and who derived significant benefit from integrative techniques. He was especially grateful for interactions with Donna Audia, RN, a dedicated, compassionate nurse who now specializes in integrative treatment. We also hear from Thomas Scalea, MD, the hospital’s chief physician; and from one of the nation’s leading experts in integrative medicine, University of Maryland medical professor Brian Berman, MD, as well as from Cornell medical professor, Carla Boutin-Foster, MD, who was introduced to effective natural remedies from her mother. Here’s the story of a frightening situation that could happen to any of us. When a California attorney, Deb Graceffa , started experiencing strange symptoms an initial diagnosis pointed to a potentially crippling illness. But high-tech testing and conventional medicine failed to arrest her symptoms, which continued to worsen. After trying numerous doctors, she was referred to a respected physician, University of California medical professor Rick McKinney, who is deeply experienced in integrative care. His approach differed from the others and led to a fairly rapid diagnosis requiring minor, mostly natural treatments that gave rapid relief. We hear from the physician and grateful patient about the nature of their communication. Also, the story of Dean Ornish, MD, a pioneer in integrative medicine whose program of stress management, plant-based diet and social support has achieved high success with heart patients and is now covered by Medicare. And we learn how this all fits into the health care overhaul from comments by Jeffrey Levi, a public health expert who was appointed to chair President Obama’s prevention advisory group. Medical education is in transition—but not rapidly enough, according to a several reformers we’ll hear. For one thing, instruction in nutrition remains mostly marginalized in medical school, despite widespread health care crises related to dietary intake (obesity, heart disease and diabetes). In this segment, we visit medical students at the third largest U.S. college campus, Ohio State University in Columbus, who are committed to a greater focus on wellness. We hear their vision of health care in the future. 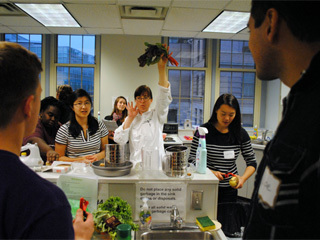 And we join them for a cooking class, led by visionary chef Laura Robertson-Boyd, where future physicians learn important knowledge they will be called on to impart to their patients. We also travel to Tucson for a conversation with University of Arizona medical professor Victoria Maizes, MD, whose widely acclaimed curriculum in integrative care provides current health professionals with “the education you didn’t get” in conventional medical school. Also, an exploration of “health coaching” for positive lifestyle change, with an expert from University of Minnesota, Karen Lawson, MD. Amid medical bureaucracy, the patient’s humanity can get lost. Here are some solutions. We hear from medical professors Ronald Epstein, MD (University of Rochester) and, Victoria Maizes, MD (University of Arizona), along with nursing professor Mary Jo Kreitzer (University of Minnesota). 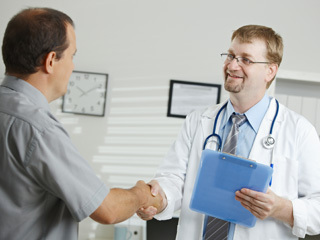 Each has given deep reflection to the dynamics of communication between a health professional and the patient. What are the obstacles? How is information and support conveyed to the patient? We also learn about the fascinating health benefits of common integrative techniques: Tracy Gaudet, MD, a senior Veterans Administration health official, describes stress management exercises for veterans facing surgery at a VA hospital in Los Angeles. 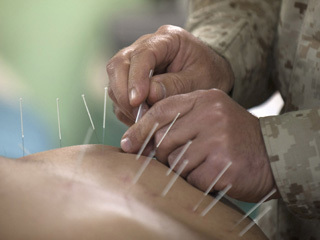 We hear about the ancient Chinese system of acupuncture—now shown to be effective for pain relief in well-controlled western studies—from Marcos Hsu, a staff acupuncturist based at a Maryland hospital. Also, a look at the remarkable health benefits of meditation from University of Virginia nursing professor, Susan Bauer-Wu, who personally practices meditation. Brian Berman: Citizen-centered health care (10:45) This physician and founder of the Univ. of Maryland’s Center for Integrative Medicine explains how lifestyle behaviors, access to healthy food and other societal factors including safe places to walk all combine to influence a person’s health. Mary Jo Kreitzer: A sense of purpose bolsters your health (8:20) This nursing professor and director of the Univ. of Minnesota’s Center for Spirituality and Healing and widely respect nurse describes how a vital commitment to be part of life gives meaning and physical health benefits. 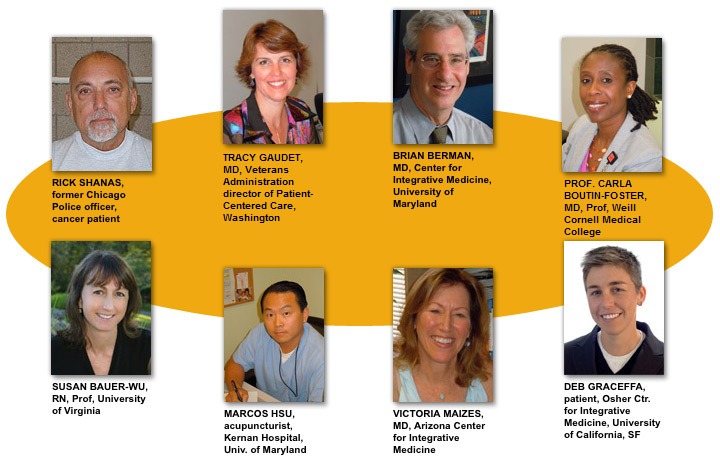 A Primer on Integrative Medicine (PDF) Read our short pamplet about integrative health. Find out about mind-body medicine, the role of diet in health, spirituality, acupuncture and more. Huffington Post: Time to ease restrictions on nurses? Global Advances in Health and Medicine, an excellent magazine on many aspects of integrative health care. A look at ways Americans are moving toward a single-payer system of health care. This Humankind special project is presented in cooperation with Connie Goldman Productions. Funds were provided by the Michele and David Mittelman Family Foundation and a special grant from the Henry Luce Foundation.